Hey there, hope today is working out for you. Thought I would share something.. Yes another to add to my growing list. Wild mushroom foraging. Its becoming a bit of a obsession and I only forage for 3 species that I have had identified and I am happy to eat and confident to collect. 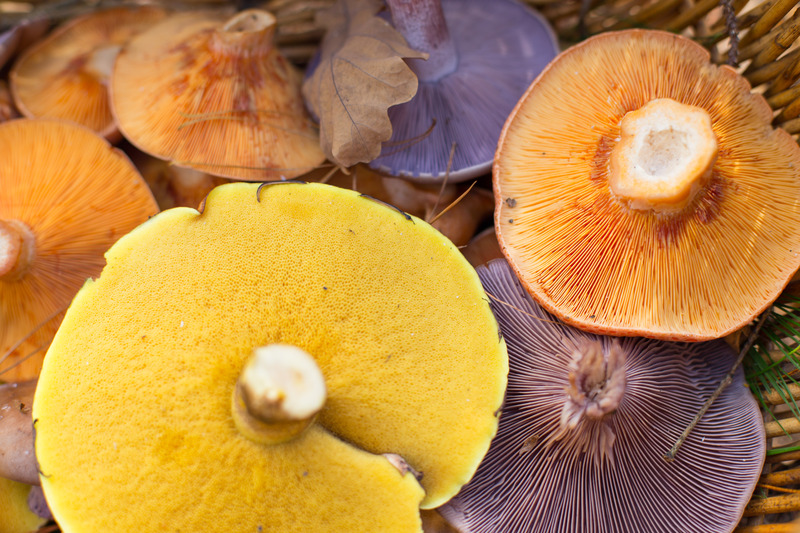 Don’t pick anything without a proper identification as some mushies are super poisonous and can even kill. 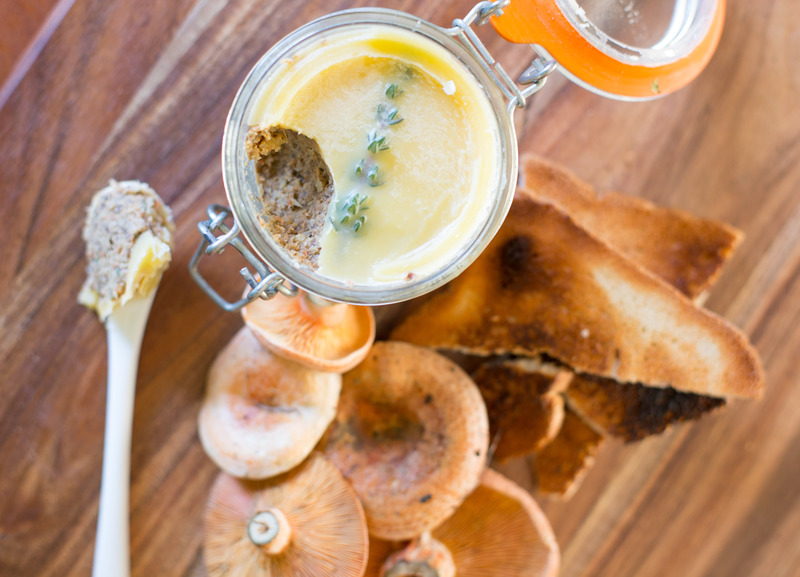 Pine mushrooms are as common as muck around this part so it makes sense to use these orange fungi delights as regularly as possible. I do get excited and enthusiastically pull the car over at the sight of a cluster of pine trees with the hope there is a special little fungi cluster awaiting my collection. Autumn is a great time for this so I make full use of the season and get picking, cooking, eating drying and pate making! This is yummy on toast, on crackers, in an omelette or in sandwiches as my daughter can vouch for and she’s only 5 so its gotta be ok! 500 gms of mixed Mushrooms, wild if you can hunt some down or even a few dried like porcini or mixed dried all helps with that mushroom flavour! Firstly roughly chop the mushrooms and set aside. In a pan add the oil and butter and heat until butter starts to foam and bubble. Add the onion and cook for a few minutes until its starting to become translucent, that’s when you add the garlic or it will burn baby burn! Cook for around 30 seconds before adding the mushrooms, thyme and sage and cook on a high heat to tease all that moisture out of them. This could take 5 minutes it could take a tad longer but when you see all the mushroom juice all but gone pour in the brandy before you are tempted to have a swig! Let this bubble even flambé to burn the alcohol off. Once you are happy that the brandy has worked its magic remove the mushroom mix from the heat and leave to cool. Once cool add to a food processor with the creme fraiche or the substitute, the parsley, salt and pepper and the lemon juice, pulse until you have the desired consistency (at this point add the truffle oil if you have it). Spoon into clean sterilised jars and throw them in the fridge for half an hour before adding the melted clarified butter to the top. You can add a thyme sprig into the butter to make it look pretty if you like. 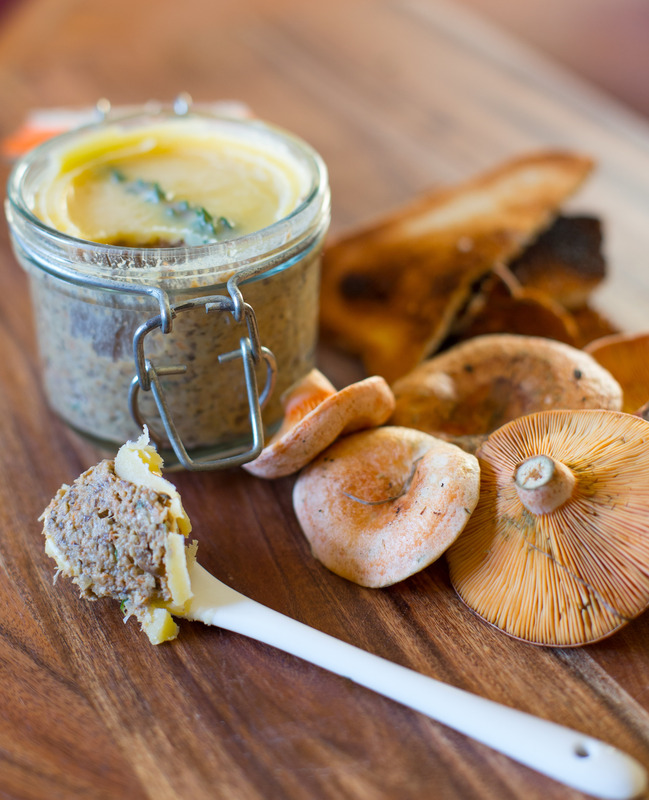 Chuck them back in the fridge for the butter to firm up and there we have it mushroom pate! The pate will last up to a week in the fridge but mine is usually all gone in a few days. OMG, you must tell me where to find them. I tried looking out my way a couple of years ago, but I think it was too dry. I loooove pine mushrooms. Just raw on bread and butter, yum!